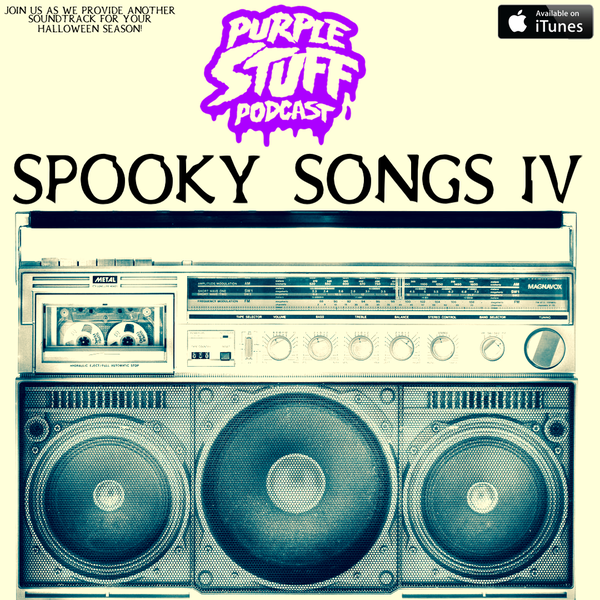 PURPLE STUFF PODCAST: SPOOKY SONGS IV! The Purple Stuff Podcast returns to our full length episode format with one of our favorite themed shows! If you’ve listened to us since we started the show, you know we’ve done 3 previous Spooky Songs episodes and they were all a lot of fun. Matt and I are huge fans of music of the Halloween season as I’m sure many of you are as well. This installment presents some deeper cuts to create one hell of a killer playlist for your 2017 Halloween celebrations. You’ll hear selections from obscure actresses turned minor pop stars, movie stars dabbling in macabre music, screaming Staten Island singers, and a theme from one ghoulish looking wrestler. If that doesn’t pique your interest I don’t know what will! Take a listen and subscribe on iTunes or wherever you listen to your podcasts! Thanks for checking it out! ← 10 Questions with Tommy London!